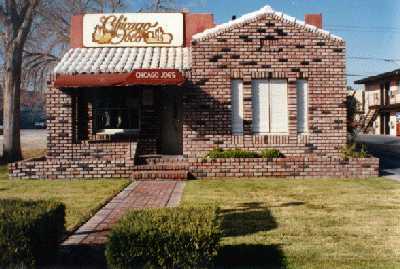 Chicago Joe's Restaurant Celebrating 30 Years in Las Vegas! Click here to View some of our great dishes! See our Events page for Events and Pictures! Looking for your Scott Weis Pictures? Check our Events Page! Check out our Customer Comments Page!! Have an important business lunch or dinner? Ready to have a personal dining experience? Chicago Joes is the place for you! Always ready to serve, with a huge local following, come in and experience Chicago Joes for your self! Like many locals you may even enjoy a quick conversation with Joe himself! Chicago Joes a wonderful Italian Las Vegas restaurant. Offering the best in Las Vegas dining with a down home atmosphere. The big city service with the small town taste!